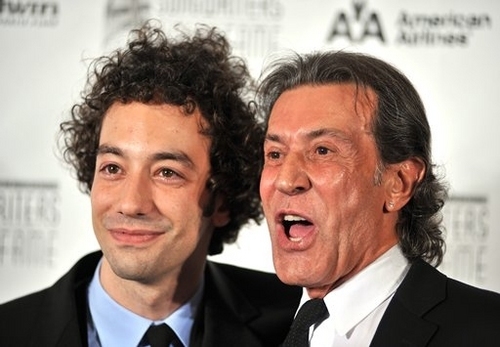 Albert Hammond with his son Albert Hammond Jr. If you are of the Millenials generation the name Albert Hammond might immediately spark images of the curly-haired Strokes’ guitarist. Yeah, that guy in the picture. But who is the dude next to him? That, my friends, is Albert Hammond, father of the Strokes’ guitarist and tremendous musician in his own rite. Hammond has been releasing and writing music for over 40 years and has skillfully adjusted to the transformation of music along the way. In 2008, he was inducted into the songwriter’s hall of fame (source for picture above). Let’s explore the musical life that is Albert Hammond. 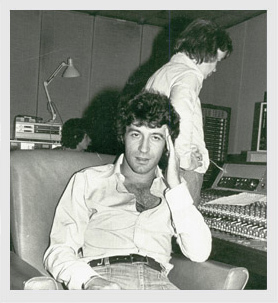 Albert Hammond was born in London but grew up in Gibraltar with his Gibraltarian parents. Hammond, like many other musicians, left school to pursue music and first found a small market in the emergence of Spanish rock. While his first band, The Diamond Boys, wasn’t successful, it did help Hammond get performance experience and this came in handy later in his career. That is how the 60’s ended for Hammond. But despite his successes, Hammond’s true contribution to music came in the 1970s. Hammond and Hazelwood moved to Southern California and continued writing together. Hammond signed with Columbia Records and started showing off his chops. Numerous famous 70’s acts starting covering his material. The list includes Johnny Cash, Elton John, Mama Cass, The Association, Steppenwolf, Sonny & Cher, etc. Hammond, who is bilingual, was able to start making Spanish-language albums. Then, in the 1980s, Hammond wrote several other highly successful songs including “Nothing’s Gonna Stop Us Now.” He continues to write music today. If I had to choose a highlight from Hammond’s brilliant career it would have to be the release of his most known, and arguably best song in 1972. The song, “It Never Rains in Southern California,” is such a classic 70’s song. For what it is, it’s great. The song is soft-rock at its finest. It mixes light horns and Hammond’s pleasant voice into the pot and out comes a hit. I’ll leave you with a low-key performance of the song below. Did You Know: The Family Dogg‘s album A Way of Life featured some pretty special guest musicians in the studio, including Elton John and Led Zeppelin’s John Paul Jones, John Bonham and Jimmy Page.